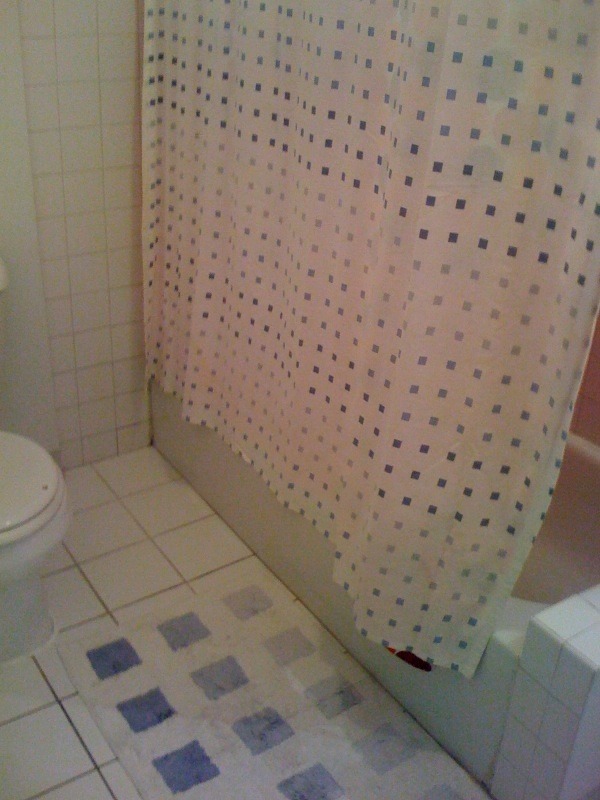 Note that nice rosy glow behind the shower curtain? I forgot to get a liner, but Leo bought a bright shower curtain to get by for a few days. Put the bright red and orange together behind a soft white linen shower curtain? Just like a mullet, business in the front, party in the back. So, here we have a white and blue bathroom, but we need more – storage, style and something on those big white walls. There are lots of things I’m thinking about purchasing in the near future. I wish I could build some cabinets in myself, but living in an apartment means nothing can be permanent. Oh well! The bathroom has pretty tall ceilings, but everything is very grounded and white. I don’t love unfinished wood around the door that is peaking out in that top photo, but I’m going to ask the landlord if I can paint them. Just need to pick a color! Secondly, I’d like to purchase an above the toilet space saver – because under the vanity is best for cleaning supplies, not cotton that will touch my precious face. Kidding? No. 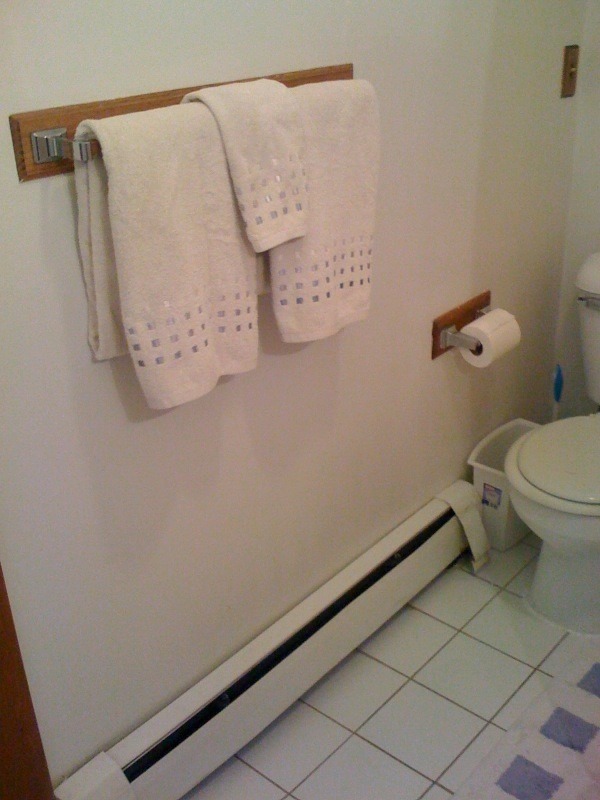 White Bathroom Space Saver, $107 – pretty, but a bit too country. Fairview Space Saver, $250 – pretty, but way too expensive. Greek Key Space Saver Cabinet, $100 – pretty and perfect! Just so happens to be the best price, love it when that happens! I’m leaning towards the Greek Key pattern, love that pattern and thinking I could bring it in even more with some art on the wall. Do you like above the toilet cabinets? Which one do you like best?